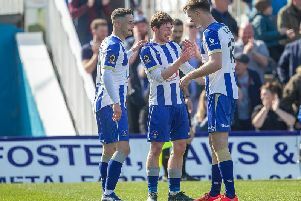 Can Hartlepool United extend their unbeaten run? Hartlepool United travel to Crawley Town this afternoon looking to extend their three-match unbeaten run. Roy Kelly is there for us bringing you the very best build-up, match action and post-match reaction as Pools look to pull clear of the relegation zone. Craig Hignett's side go into the League Two game on the back of 3-1 wins over Barnet and Dagenham & Redbridge and the goalless draw with Newport County in midweek.